'SM Brothers' from all over the Pacific gathered at the Ashram near Nadi, Fiji, in mid-June. Australia was represented by Br Charlie Randle SM (whose photographs appear here). The Brothers discussed a range of practical issues concerning their mission and lifestyle in the Pacific. Ongoing formation and professional and trade training were key items on the agenda. Left: Sunrise over the Ashram. 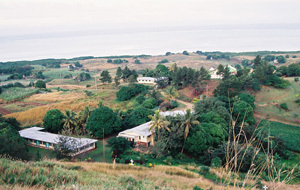 Left: The Ashram nestles in the foothills overlooking the Pacific an hour's drive from Nadi international airport. 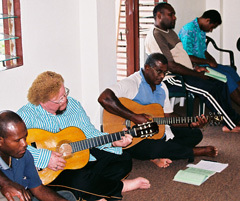 Right: The Oceania Marist Province is blessed with Brothers from a number of Pacific nations. Left: Lay facilitators assisted the Brothers. Right: A young Brothers takes minutes of the proceedings. 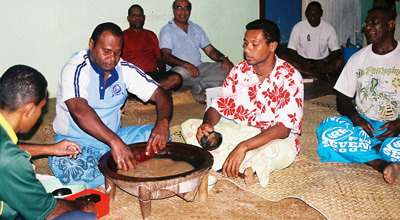 Pacific islanders are natural musicians... and enjoy gathering around the kava bowl. Leadership teams of Marist provinces and mission districts in Australia, New Zealand, Oceania and the Philippines met recently in Sydney (Jun 13-18) to plan for the next steps in Marist missionary presence in Asia-Pacific. Nine nationalities were represented amongst the twenty-two priests gathered for the four-day meeting. 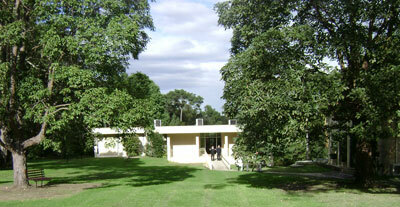 Venue was the Colin Library at picturesque, historic Villa Maria, Hunters Hill, Sydney. Recognising the emerging place of Asia in Marist mission priorities the group established 'MAP' (Marist Asia-Pacific). 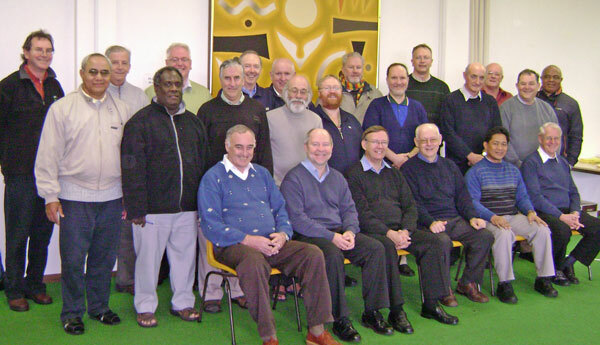 Asia-Pacific and international Marist leaders are led by (front row, from left) Fr Paul Donoghue (Provincial, Oceania), Fr Paul Cooney (Provincial, Australia), Fr Brian Cummings (Provincial, NZ), Fr Jan Hulshof (Superior General, Rome), Fr Larry Sabud (District Superior, Philippines) and Fr Craig Larkin (Vicar-General, Rome). 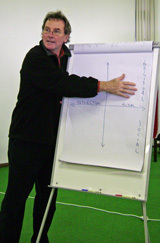 Facilitator, John Honner, separates the group into 'thinkers' and 'feelers' in one of the gathering's lighter moments. Issues of international reconfiguration and collaboration with possible new outreaches within the Asia-Pacific region occupied most of the sessions. 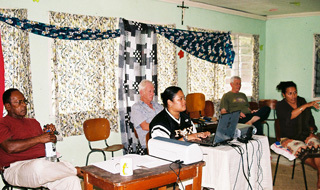 Marist missionary work in Asia was represented by (left to right) Fr Keith Tulloch (Superior, Suzaku community, Nara, Japan), Fr John Larsen (Director, Marist Mission Ranong, Thailand) and Fr Larry Sabud (Superior, Philippines Mission District). 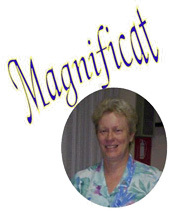 New Zealander, Sr Jane Frances O'Carroll has been elected 13th Superior-General of the Marist Sisters. 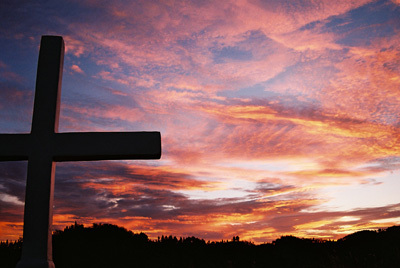 See the Sisters' website and General Chapter report and photos.